by Judith G. Auerbach, at al. This volume candidly discusses the sexual and drug-use behaviors that promote transmission of HIV and reports on the latest efforts to monitor the epidemic in its social contexts. The committee reviews new findings on how and why risky behaviors occur and efforts to develop strategies for changing such behaviors. Designed as a resource to help health care providers, organizations, and people living with HIV/AIDS and their families and friends understand complex HIV/AIDS terminology. More than 170 new and updated terms, definitions, and abbreviations. 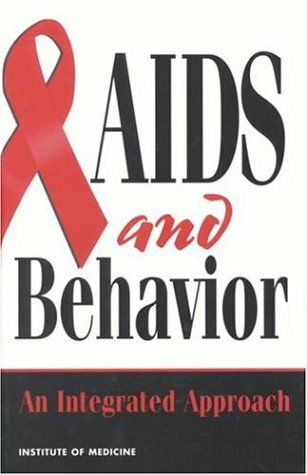 The book describes how AIDS has come to be regarded as a chronic disease. A photo essay reveals the strengths of women from various backgrounds who are coping with HIV. An account of the complex relationships of the gay community to AIDS is included. The HIV/AIDS epidemic has been a key focus for public health recently. In recent years, concerns have been raised in the EU about the threat of a new epidemic. The rate of new infections in some European countries is amongst the highest in the world. The AIDS epidemic has posed more historical questions than any other disease of modern times. The authors hold a variety of opinions on controversial issues. Each essay addresses an aspect of the burdens of history during the AIDS epidemic.